Formerly known as AHAVA Men's Foam Free Silk Shave. 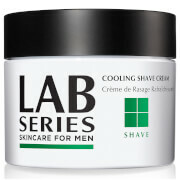 This unique foamless shaving cream provides a close and even shave while soothing and hydrating your skin. Dead Sea Mineral extracts together with Ginseng, Ginger, Ginko and Aloe Vera blend to provide a non-drying, natural based shaving experience. 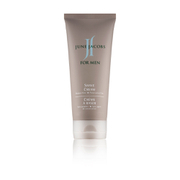 This silk cream raises, softens and conditions bristles, leaving your skin supple during and after shaving. Ideal for rough hair and beard. Apply evenly to a wet face for a smoother shave. I found this the best all around shaving cream. Light fragrance, smooth and easy to wash off...I always end up with a great shave and little residue.